it’s day 1 of the 31 days of letting go! for our first day, i’m going to share an example of how i pray. but first, i just want to say, thanks for being here! i’m so looking forward to the challenge of this and i can’t wait to hear what you have to say. by all means, i am NOT an expert in any of this. i’m just exploring it a little bit. feel free to give any insight or ideas you have in the comments section! sometimes when i need to “let go” i pray a verse. how lazy is that? but really, instead of trying to come up with the right words to say, or worry about what i really need and how to ask it and how to be reverent enough and why in the world i think i even deserve to be there… i take all the pressure off by praying something back to God that He gave us in the first place.i mean, seriously, doesn’t it just scream simplicity to say His words? it’s God’s word. His promises. His Truth. so i pray it back to Him. here was today’s prayer. it’s not much. it’s short and sweet and honest and open. God can see it all anyway, why hide it? 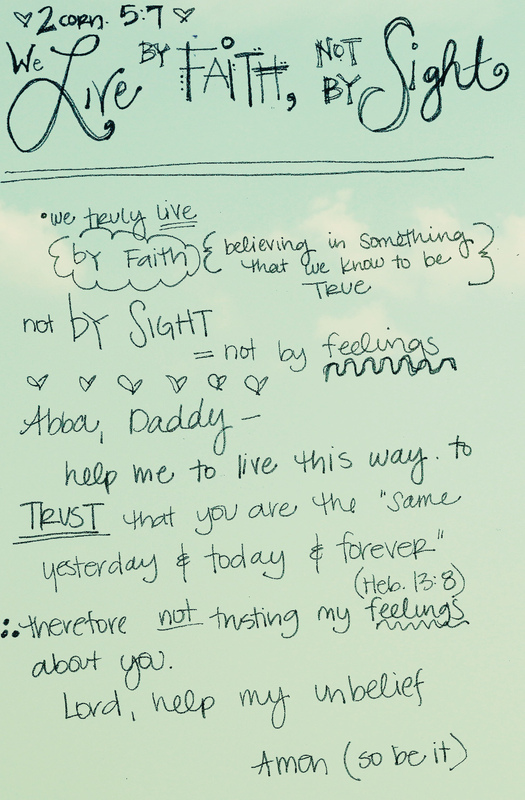 i’ve given my unbelief to God, i’ve “let go” to Him my own thoughts on this verse. do you do this? do you pray/journal a verse ever? this is a good way for me to “let go” when i don’t know what/how to say something. it brings peace to just seek the Lord in prayer. May you find peace in letting go through prayer today. I just found this and am going to start it after wanting to work with my own letting go thank you for this! !